This contemporary design of electrical plug sockets is available in two separate finishes of high polished chrome and satin brushed chrome. 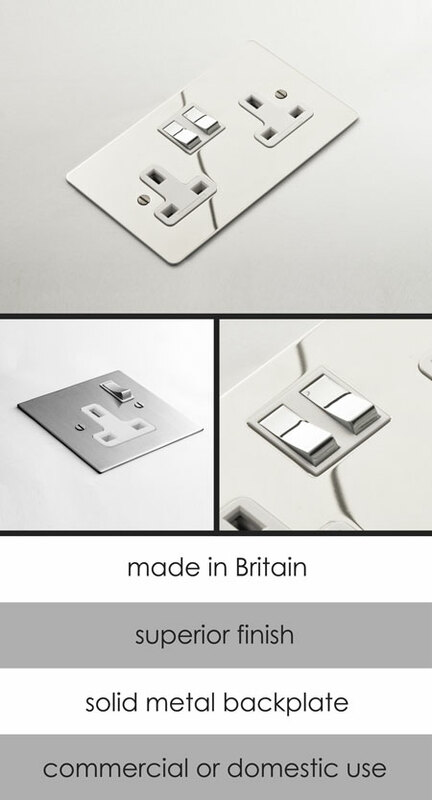 Both are supplied on real metal back plates and are available as a single or double socket. We can also supply a full collection of matching household sockets and switches to cover all the application within the home. * Satin & polished light switches.